Eggs are staples for breakfasts, aren’t they? Bread and omelette are like brothers. But have you tried an even healthier version of omelette? 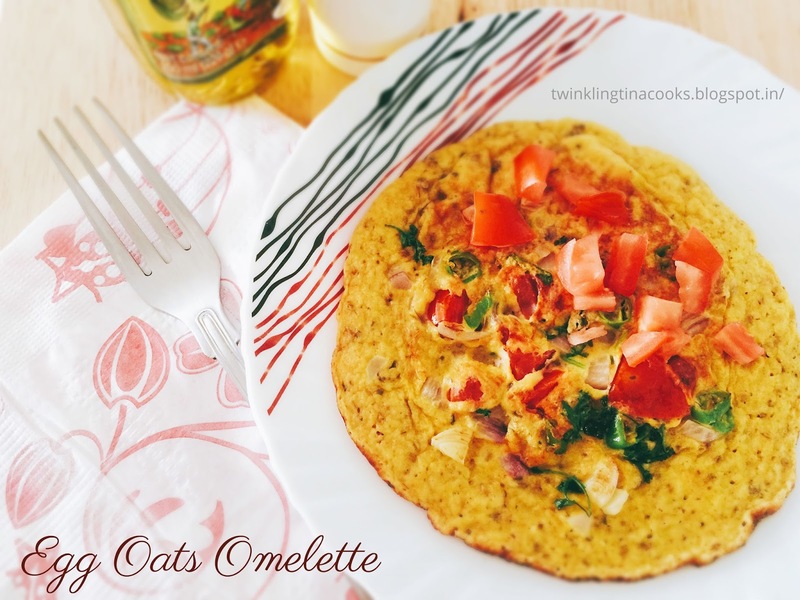 How about egg and oats omelette? I am currently bitten by the oats bugs and am trying to use oats in different ways. So thought why not make a quick meal altogether in an omelette? This is pretty filling too. 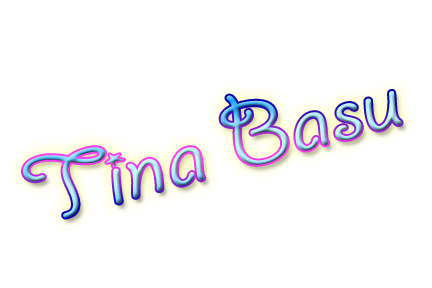 Eggs are full of good proteins and minerals. This recipe can be modified with your choice of vegetables! Remove lid and sprinkle chopped vegetables on the omelette and cook for 2 minutes. Flip the omelette and let the other side cook for 2 minutes on low heat. Serve hot with tea or coffee! You can use any vegetable you like – mushroom, corn, bell peppers and even olives go well. Enjoy a good healthy breakfast. This post is written for the A to Z Challenge 2016 for Day 5 Letter E. Visit A to Z, BlogChatter to read other beautiful bloggers! Interesting. We've put matzoh (a type of unleavened flatbread) into omelets after soaking briefly in water, and it comes out fantastic and filling. I bet the oat flour does the same thing. oh this looks so delicious and healthy. Let me find some oats flour. I have never tried this combo. that's interesting and if rolled up with some chicken shreds it can add to the healthy factor. Breakfast should be your healthiest meal of the day. Not only should your breakfast be wholesome and filling but also very nutritious. So what better than the egg oats omelette for breakfast? 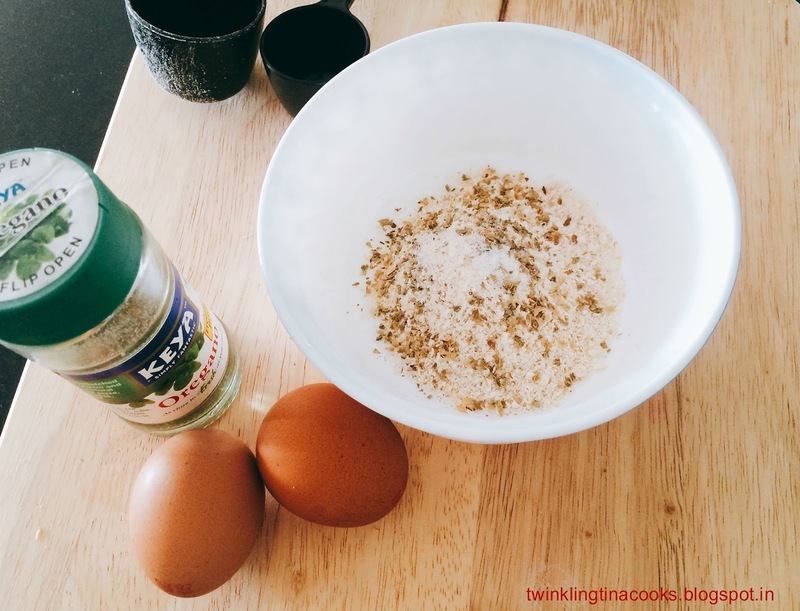 The egg oat omelette is very easy to make. But it is exceedingly healthy as a protein rich breakfast. Actually, it is the ideal breakfast to have after a workout. i need to find out more on matzoh then! 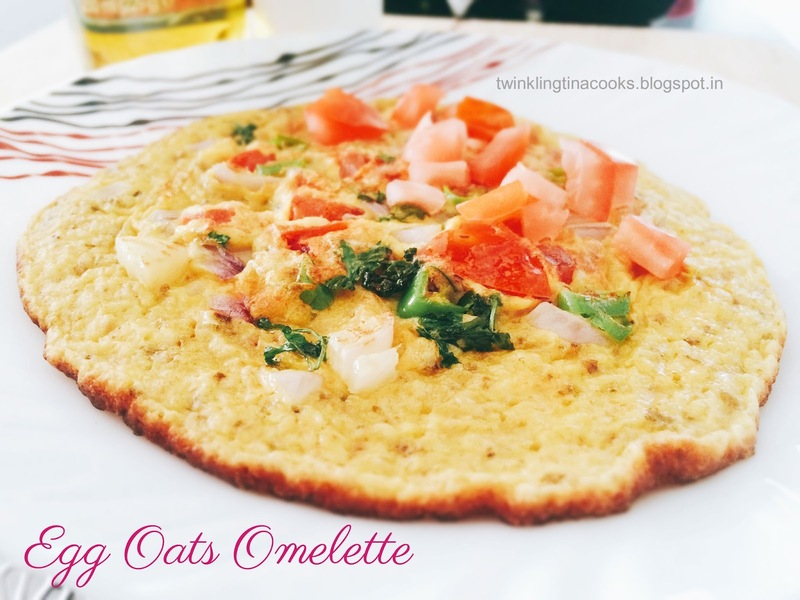 Healthy bhi, Tasty bhi.. Tina ke haatho ka Eggs Oats Omlette..
Too good.. Will try some day!